Please note that it should be agreed that Chandra Anton and Contemporary Horsemanship will not accept any responsibility whatsoever for any loss, damage, injury, etc. caused for whatever reason, in any location connected with horse training in any way. Working with horses is an inherently dangerous practice and horses are incredibly unpredictable animals. Persons attempting to follow any suggestion from Chandra Anton or Contemporary Horsemanship, in hand or ridden, will do so at their own risk and assume full responsibility for themselves, their horses, and any others in the vicinity. In utilizing any of the methods, practices, etc. for horsemanship suggested by Chandra Anton or Contemporary Horsemanship, there is no guarantee of success or safety for human or horse. Always wear a helmet and practice caution around your horse and all horses. 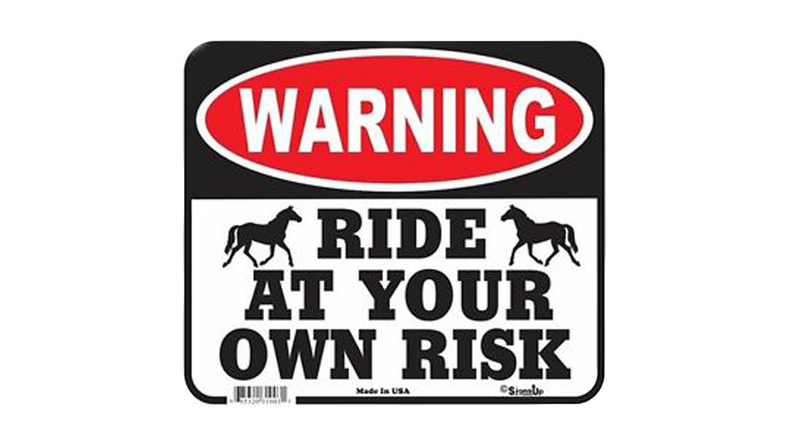 You should never ride or work with a horse alone, always have someone there in case an accident occurs.